If you still haven't planned your bonfire night activities there is still time. Manchester is hosting several events around the city on Sunday which are family friendly and filled with fun activities. Come along for funfairs, food stalls, bonfires and fireworks displays. Who doesn't love a night out watching fireworks? Hopefully, the rainy Manchester weather will stay away and all the events will go off with a bang! As the nights are getting longer and winter is setting in it is the perfect opportunity to watch the sky light up with beautiful colours, watch a bonfire and enjoy the fun fair. Children will love the huge selection of rides for all ages with ghost trains and bungee trampolining just some of the amazing activities on offer this will be an exciting weekend treat. Heaton Park: Manchester's biggest bonfire is back in the beautiful location of Heaton Park. One of the most popular events in the city. Open from 5pm there will be a funfair to enjoy before the bonfire and fireworks at 7.30pm. Wythenshawe Park: A funfair from 5pm-9.30pm will keep all the family entertained with fireworks starting at 7.30pm followed by a bonfire. Buile Hill Park: If you are in Salford this event is for you. Taking place at the beautiful park the event opens at 6pm. With a funfair and food and drink stalls, this is set to be a fun event. The bonfire will be lit at 7pm with fireworks at 7.30pm. Heaton Norris Recreation Ground: This event in Stockport costs £5 per person or £10 for a family of four with the profits going to charitable causes, you can buy tickets on the gate. Starting at 5.30pm the events hosts a funfair and food stalls. The bonfire will be lit at 6.30pm followed by fireworks at 7.30pm. You can park for free at Heaton Lane car park. Haigh Woodland Park: Costing £10 for adults and £8 per child on the night (with family tickets available) this is one of the more expensive events but well worth the price. Open from 4pm, there will be bands playing, a children's show and a DJ, this is perfect for all the family making it a real weekend treat. 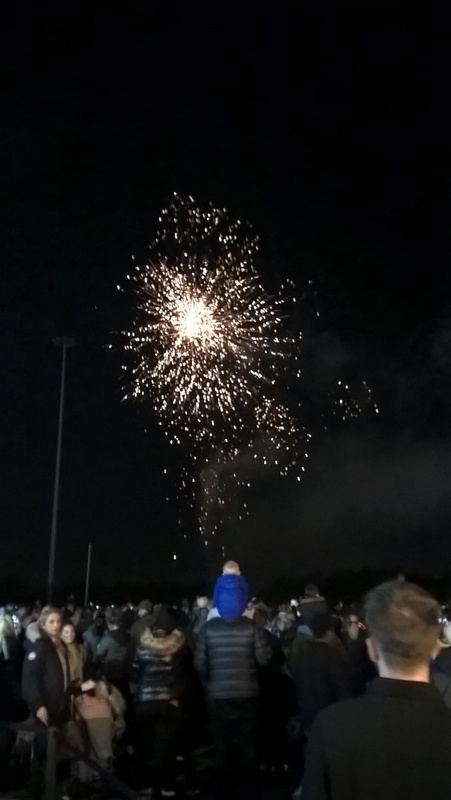 The fireworks display has been put on by the National Firework Champions SM ART Pyro will start at 7.30pm. Audenshaw Park: Enjoy the funfair and the fireworks display setTickets cost £5 on the door with £15 family tickets and under 5s are free. Gigg Lane Stadium: Bury FC are hosting a professional fireworks display from Magical Fireworks and funfair with the social club open on the night. Open from 5pm with fireworks at 7.30pm. Tickets cost £5 for adults, £2.50 for under 16's. With events all round the city, you are sure to find a local one just for you. Manchester is known for hosting amazing family-friendly events and the range of free fireworks displays this year means no one will miss out on the bonfire night fun. Wrap up warm, get the family together and enjoy the evening.